I read this article and found it very interesting, thought it might be something for you. The article is called What are the best bitcoin wallets for storage or an “Everyday Use”? and is located at https://howtogetref.com/use-store-bitcoins/. When I started my journey as an online entrepreneur, I was using PayPal to conduct all my business activities. The reason being that it is a simple, fast and convenient manner to send or convert money. I’m happy with it. This is why I ignored at first the expansion of a cryptocurrency called “bitcoin”. But it became popular. There are now several programs that I’m using which accept it as a mean of payment. And more recently, even my local bank started to deal with it through their merchant partners. I had to admit that “something was happening”. As soon as I understood the value behind it, I added bitcoin as a payment option to purchase my services and I’m using it regularly for my online activities. What is Bitcoin? What’s all the fuss about? To give an extended reply, I could quote some hundred sheets PDF on the topic. But the good news is there are no requirements to read and understand everything. You don’t need to be the next Bitcoin wizard to enjoy it, as the system is easy and user-friendly for an everyday usage. Bitcoin is a type of decentralized digital currency, created and held online. It’s a peer-to-peer network, no one controls it. The virtual currency is independent of a central bank or authority. Bitcoins aren’t printed, like dollars or euros. They’re produced by people running computers all around the world. 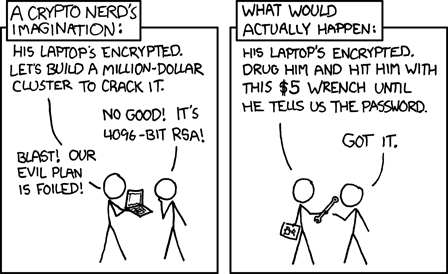 Some advanced encryption techniques regulate the generation of units of currency (“bitcoin mining“) and verify the transfer of funds. Easy to set up: no bureaucracy headaches. You can set up a bitcoin address in seconds, no questions asked, and with no fees payable. Be your own bank: send money worldwide, available 24/7, and you never have to ask permission to make a transaction of any kind. Bitcoin is a peer-to-peer system which means you enjoy low transaction costs. Anonymous, but transparent: the blockchain keep a log of every single transaction that ever happened in the network. But there are no link to names, addresses or personally identifying information. No chargebacks. No account frozen. No headaches. Open your Bitcoin wallet now! How to open a bitcoin wallet online? A “wallet” is basically the Bitcoin equivalent of a bank account. It allows you to receive bitcoins, store them, and then send them to others. You can buy (or earn) bitcoins and use it online in a few clicks. All you have to do is to pick one safe bitcoin wallet among the many options available. I personally use and recommend Coinbase, which is, in my opinion, one of the best online bitcoin wallets for an everyday usage. The signup process is fast and easy. The dashboard is clean and intuitive. It allows you to keep an eye on the bitcoin value and proceed all transactions you need to. You will be requested to add and verify a bank account if you wish to buy some bitcoin with your local currency. And you will also get a welcome bonus of $10 (or local currency equivalent) if you decide to place a purchase for $100+ of bitcoin. Note: your referrer (who invited you to join coinbase) will also receive that one-time $10 bonus. I already mentioned it, but let me emphasize this again, with bitcoins, the fees are nearly inexistent. To put things in perspective, you could, for example, send 10 bitcoins (current value: $6739.90) for a mere fee of $0.15 while by using a processor such as PayPal the same transfer would cost you about $263.16. Purchase your first $100 of Bitcoin and receive $10 of free bitcoin! 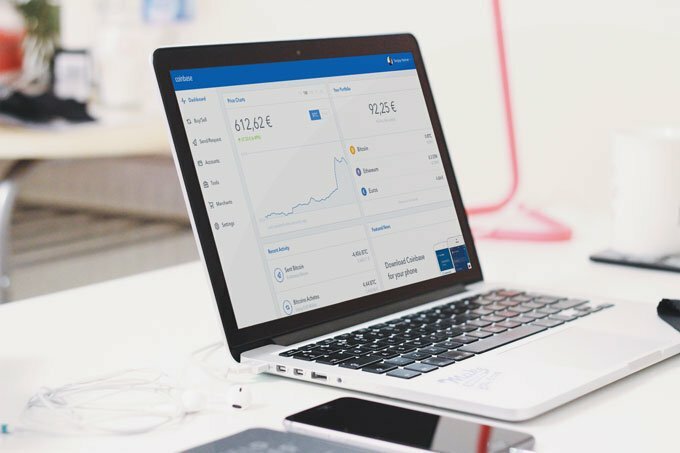 If you own a business, coinbase is also easy to integrate with all major e-commerce plugins (such as woocommerce or easy digital downloads). And they also have an android and ios application (with touch ID login). Bitcoin hack: can you trust thirty party wallets? Although most bitcoin users rely on freely-available web and mobile wallets, recent security failures clearly illustrate the need for safer alternatives. Bitfinex and Mt Gox users will agree as both websites got hacked and lost million of dollars… it hurts! Security is never a zero-sum game. It’s a constant cat-and-mouse game, between those trying to protect systems, and those trying to break them. The idea to be your own bank and skip the fees is awesome. But are you really willing to gamble on how secure and hacker proof your third party wallet is? If you plan to hold significant amounts of bitcoin, probably not. Moreover, another bitcoin issue lay in the security of the end-user and their computer. A simple keylogger is usually enough for a thief to act with close to no probability to be tracked and caught. How to store Bitcoin with enhanced security? To add an extra layer of security to your bitcoins, you can use a hardware wallet. This allows you to put back bitcoins in your hands, in a safe and secure storage and eliminate the need for 3rd party services. The aim is to ensure that your bitcoins will not get stolen, hacked, confiscated, lost, etc. SatoshiLabs, a Prague-based company, give a really good answer to the question of “how to store your bitcoins” with their offline hardware wallet: Trezor. The main advantage with such offline-only vault is that your private keys stay within the device. How does an isolated environment enhance your security? Well, no matter how unprotected your computer or internet connection might be, your coins always stay safe with TREZOR. The device never divulges any secrets to the host machine. 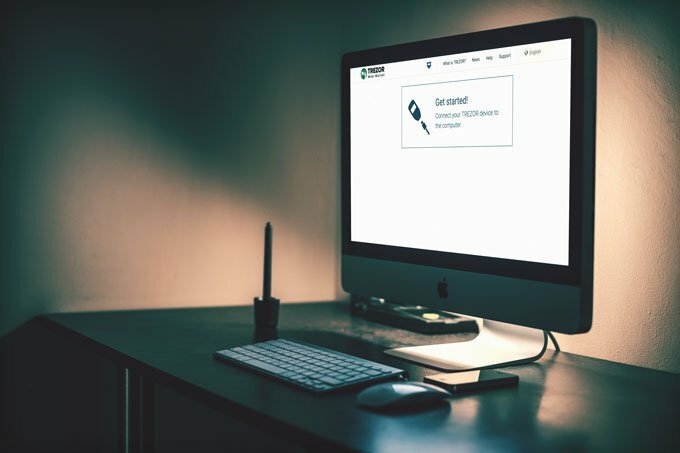 By using Trezor, you can not be infected by the malware responsible for most digital asset and private data thefts. The login process is safer. To access your funds, you need to enter a PIN code. But you will do so, by matching the numbers that appear on your screen with a virtual pad on your computer. Which means that you do not need to worry about keyloggers. It also adds an extra authentication layer to all outbound bitcoin transactions. You can visually verify the information using small display and confirm it. Users can backup the whole TREZOR contents on a small piece of paper. This “seed list” (24 words) can be used to backup and regain access to your coins in case of disaster, loss or theft. The interface is easy to use and compatible with Windows, OS X, and Linux. As it’s a community-driven and opensource development, things are evolving rapidly. Trezor Setup: how to get started with the device? 1. Connect the device to your computer using the USB to micro-USB cable. 2. Go to myTrezor.com and download a browser plugin. 3. Once the plugin is activated, myTrezor will prompt you to choose a PIN. – You don’t actually type the PIN, you have to click on a virtual pad displayed in the browser. 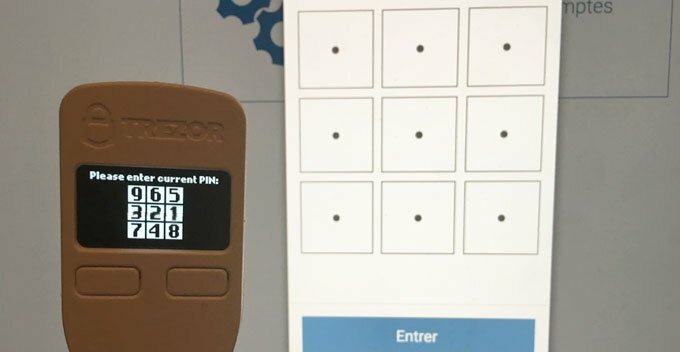 – The position of each number changes randomly, so every time you enter the PIN you will have to check your Trezor device for the new layout. 4. Next, you will have to write down a randomly generated sequence of 24 words, also known as a “seed” (keep it safe, and offline). – This seed will allow you to recover your Trezor wallet in case you lose the device. 1. In myTrezor, click on “Account #1” on the left of the screen and you will see an empty “Transactions” tab. 2. Select the “Receive” tab to get your first Trezor bitcoin address (a long string of numbers and letters). 3. When someone makes a payment to you, you will see a green (incoming) transaction appear in the transactions panel. Trezor: how to send payment? 4. You can watch the progress of your outgoing transactions by switching over to the “Transactions” window. Outgoing transactions are marked in red. Multiple assets (store bitcoins, litecoins, dash and more). Dropbox synchronization to add comments, tags and wallets names across numerous devices. Passwordless login (similar to 2FA, but with Trezor directly). Hide wallets under different passphrases (so you could give away access to a wallet with a low amount on it to attackers with physical access, without him behind able to know you have more). Trezor is compatible with various bitcoin wallets, including Copay, Mycelium, and Multibit HD. You can setup read-only wallet to keep an eye on your balances from your smartphone (without putting your security at risk). The full list can be found in the Trezor Apps. Visit Trezor store to lean more! If you have experience or asks concerning bitcoin, coinbase or trezor; I would love to read your insight. Cheers. Ps. your activity may be rewarded through our contest (Learn More). MyPayingAds Review: is MyPayingAds Legit or Scam? As you know I am a big fan of crypto-currency and this post is ideal for anyone that is new to bitcoin, or someone who could do with that extra bit of security. I like the way you have gone into great detail in each section. I also use Trezor and I cannot fault it for what it does. So many of my friends have been under attack of missing bitcoin or hacks to their wallets, even those in ‘multi-sig’ wallets. So it goes to show how important cold storage is. I also recommend Trezor to anyone I know using Bitcoin. You are right, Trezor is definitely a great help for everyone involved with Bitcoin. there are way too many “sad stories” around to gamble on whether they will be the next one to fail or not. Thanks for the feedback! :) I believe the online bitcoin wallet I shared above, Coinbase, allow you to do so in the USA as well. When you need dollars, you can sell them instantly to coinbase (or, a slower method, but with fewer fees: trade it through gdax) and withdraw to your bank. Ps. 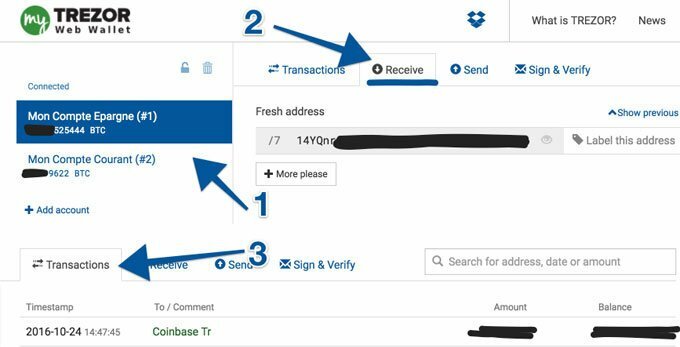 If you create a Coinbase account, you can use my link (http://learn.howtogetref.com/coinbase/). They give $10 bonus on your first $100+ value of bitcoin purchased. On the long run, if you stock large volume of bitcoin, you may consider Trezor (see the review above). I have coinbase account but U.S. banks are being difficult. I made my first purchase and have to wait 7 days. Hopefully my bank will not have a problem but…it’s not looking good. If it works out I plan to use Trezor as you suggested. Everything is at a standstill for me once again because of the payza surprise. There doesn’t seem to be any options for U.S. residents for ptc and cashing out earnings. I have never tried wire transfer or considered off shore bank…it’s turning into a headache. Ok, I see. From Belgium, it’s used to take 1 or 2 business day(s). But maybe it’s different from country to country. I’m guessing the first transfer is always slower, though. As they need to perform initial account verification. I have read on Clixsense forum, about the recent issues U.S. residents are facing with Payza and Neteller. In the meantime, Clixsense is considering alternatives, so we may see a Clixsense Bitcoin gateway soon. Probably more programs will follow that trend in the next few weeks/months. Great post with lots of info. I was completely unaware of hardware wallets before, was just using 4-5 different BTC wallets to store my coins. Thanks for the feedback. I’m glad it was helpful. Feel free to share your review and experience with it once you receive it home! But I just wanted to make sure the link was not broken or something. It’s good to hear that you received it home already! From which country are you from, and did you take the “standard” or “premium” delivery? I got mine in 3 days only, with the standard delivery (in Belgium). But it sounds like it varies a lot depending on your country — unless you go for the premium. Have you heard that Coinbase no longer supports PTC’s? I am in search of new bitcoin wallet. If I order the trezor, will I be able to transfer my bitcoin from coinbase to trezor? Trezor is an hardware bitcoin wallet you can use it with everything you wish. If you need help or assistance with the device once you received it, feel free to ask me. Do you know if trezor supports ptc’s? I have no way of receiving cashout payments if they do not. Trezor is a hardware wallet. You stock things offline, on the device. And no one is spying or monitoring you. You are your own bank! ;) So receiving withdrawals from Paid-To-Click and other opportunities is definitely alright! This said you will need to find an exchanger (example: localbitcoins) if you ever wish to convert the bitcoins into your local currency. Hello all. I use coinbase for my Wallet bitcoin, i’m happy with this wallet. Thanks to this review mr hubner ? Coinbase is indeed a good online wallet. It’s easy to use and flexible. This said when it comes to high volume, I believe hardware wallet remain a safer choice! First of all thanks for this informative review and it really helps people like me who are new to this virtual currency world. I have registered on coinbase but unfortunately coinbase does allow buy/sell in the country which I am living in which Sultanate of Oman. does trezor support in the country which I mentioned ? Trezor is just an “offline” wallet (hardware) to store your bitcoins (or altcoins such as ETH, Dash, and Zcash) securely. And also to proceed transactions (send or receive cryptocurrencies). It is not a place to trade or purchase coins. Thanks for the reply and I get you on the same. So trezor is basically vault to store my hard earned or purchased cryptocurrency and it is not a place for purchase and sell of bitcoins and I get you on the same. I got reply from trezor as well and the device can be courier to the country I am currently living in within 4 days to 6 weeks, so will order the same shortly. But I have further doubt in which I need your help. I am lying down some scenarios and stating my understanding on the same and let me know whether the same is correct. Scenario 1 – Clixsense is allowing the withdrawal of payment in bitcoins through cards and I will withdraw my monthly earning from clixsense and through snapcard will the same to the trezor and they would be stored safely until I want to sell the same. Will transfer to other online wallets where I will be allowed to sell the same and convert the in USD and transfer the same to my bank account. 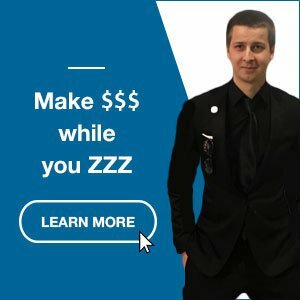 and I will repeat the same for other sites like mycryptopayingads.com and others. is my understanding correct ? Yes – Trezor is to store bitcoins securely. You withdraw from your opportunities straight to it (e.g for mypayingcryptoads) or through third-party (e.g. for clixsense which use Snapcard as intermediate). You can also make sales in bitcoins and store it there. Then if you wish to trade, or convert into altcoins or fiat currencies (e.g. dollars) you will use an exchanger to do so (Kraken, cex-io, localbitcoins or other).